Over Christmas my boyfriend and I were lucky enough to get some lovely pieces for the new flat as well as a load of vouchers and money to put towards decorating(Zara Home and H&M Home I'm coming for ya!). Along with a ton of candles and bedding, two key pieces we received over Christmas were this gorgeous magnifying vanity mirror from Pebble Grey and the diffuser collection from The White Company. 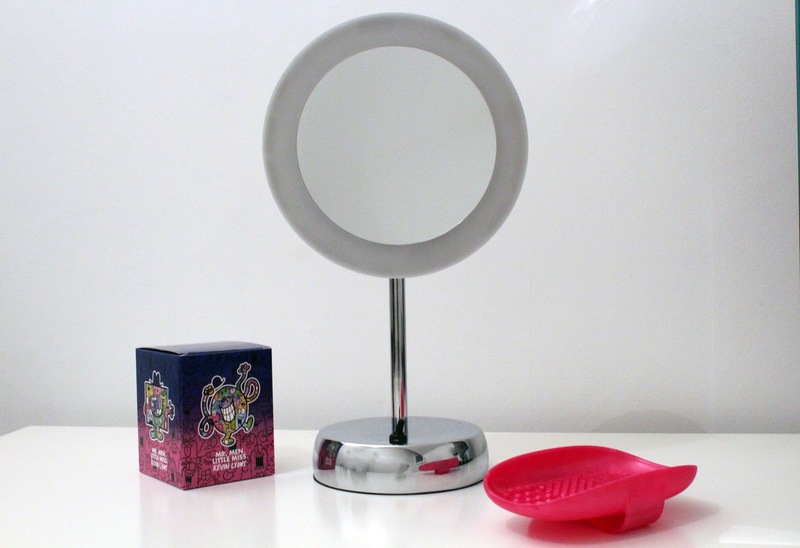 The mirror was sent over by a company called Pebble Grey, who sell stylish bathroom mirrors as well as an array of bathroom furnishings. We're slowly trying to turn the spare bedroom into an office / makeup room and so this gift couldn't have come at a better time. The diffuser collection was a gift from my brother and sister-in-law and have transformed the smell of the flat completely. I just love walking into a home that not only looks nice, but smells good too. Where do you get your homeware pieces from?